Each and every day we use words and they land on people based on who they are. This can be a blessing and a curse all at the same time. We don't set out to attack others in any way, I truly believe that with all of my heart. However, we have no control over people's scope of life. That causes scars mentally and emotionally for many people and that wont change any time soon. We just do not know where people are when we rub up against them and that will never change. Today I practically ran to the computer to write this entry because it made me percolate inside in more ways than one. A person that I respect highly challenged me about a word that is in my bio for this blog. The word in question is "succulent". I am not exactly sure where I was the first time that I heard that word, but I can tell you this, I love that word and I have a strong connection with it. There is a woman who absolutely flipped my entire mind over on its side as it relates to this word. This woman is one of my mentors and favorite writers of all time and her name is SARK. I have mentioned her name before in my blog and I tell as many people about her as I possibly can to this very day. She wrote a book entitled, The Bodacious Book Of Succulence and it blew me away!!! This book came out in 1998 and it still relevant to me in every way. She has even written a book called, Succulent Wild Woman which I flipped through and it was so great on so many levels. Sark has over 15 books I believe. I digressed a little, but it was all for a good reason. This woman has made a career out of showing people that living with undying succulence is one of the greatest gifts that you could ever give yourself. There are certain widely accepted rules to live by, and then there is living from high spirit and wild passion and making up your own rules. The latter sounds a bit strange, dangerous, and out of the box to most people though right? That's because it is! So what makes it so scary to do then? The answer is you, me, us. That is always where the issue lies. Succulent plants, also known as succulents or fat plants, are water-retaining plants adapted to arid climates or soil conditions. Succulent plants store water in their leaves, stems, and also in roots. Geophytes that survive unfavorable periods by dying back to underground storage organs such as tuberous roots, corms, bulbs, and rhizomes, may be regarded as succulents. The storage of water often gives succulent plants a more swollen or fleshy appearance than other plants, a characteristic known as succulence. In addition to succulence, succulent plants variously have other water-saving features. After reading all of that, I now understand how I was affected by SARK when she used that word initially. I got instantly stimulated from the inside out and that one word shifted my soul. There have been words that have done that to me since then, and I use them freely and openly without any hesitation. 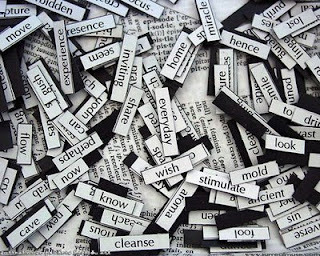 Words have so much power and most people still do not take time to choose them carefully. So my friend initially called to tell me about a slight typo and I was gracious for that. Then we shifted into speaking about this word and the conversation turned a bit. I want to be abundantly clear here that I am not in any way sending any bad vibes to my friend. This was purely a lesson in perspective. When we play with words sometimes we play with other peoples paradigms. My good friend thought that the word succulent actually had a meaning that could have been taken in a sexual way and that it could prove to be misleading to a new subscriber. I did not agree, however, it made me think and therefore I created this entry. How much better could you deal with the happenstances that take place if you had your own internal reserve of goodness stored up and ready to go no matter what transpired around you? You see there is no actual time that is optimal for you to start building your internal self so that you are prepared for the storm that will eventually hit you no matter what. I was affected by that conversation today and so was my friend without a doubt. I used that word for a specific reason and I stand by it wholeheartedly. My friend let me know that she would never use the word that way and that perhaps I should think about rewording it so as to convey a different feeling that was more palpable to the common reader. In the end we agreed to disagree and that was that.